Located in a Capitol Hill landmark building, Pilates on 10th mixes old and new with its classic look and progressive Pilates practices. We believe that the Pilates Method is constantly evolving and that it should be accessible to everybody. Pilates workouts are based on strengthening the deep stabilizing muscles of the body. Practicing Pilates regularly helps align the mind and spirit with the body by bringing control and awareness to every movement. 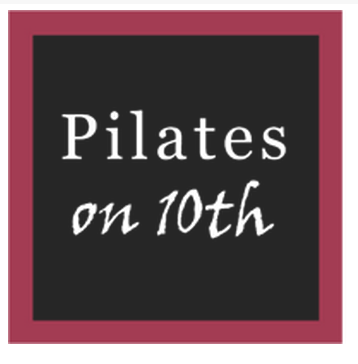 The professionally certified instructors at Pilates on 10th are available to take you through a Pilates workout suited to your body and its needs. Our group classes are kept small so that the focus is always on you, your form and safety, as well as achieving your goals. Join our community: move better and feel better! Lovely studio, Kaylee (sp?) was a vibrant teacher and very welcoming and informative.will be back ! I’ve seen so many positive changes in my body since I started taking Nancy’s class. Her style is slow and articulate, good for any age or ability. Cannot recommend enough!! Have noticed so many positive changes with this type of bodywork. The class is slow, articulate and refined. Can not recommend Nancy enough, she is amazing at what she does and understand the body so well!! Loved the instructor’s teaching style, but the level of difficulty could be adjusted for those with a little more experience. Such a great way to fine tune engagement. Nancy understands the body so well!! Naphtali is great!! Always feel challenged right to my edge.